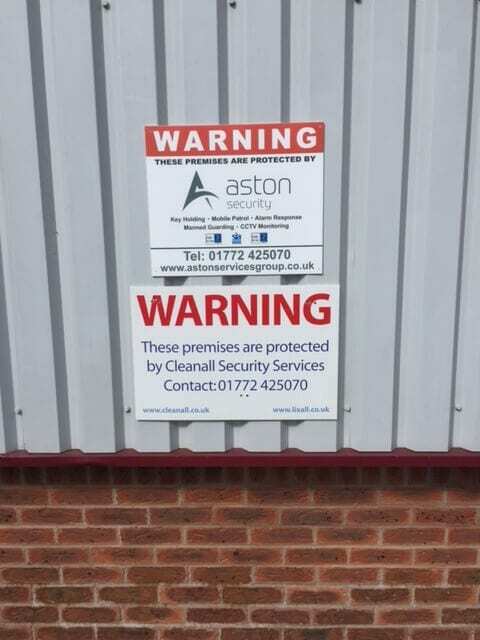 The new Aston Services Group security sign highlights how far we’ve come in a very short space of time…..
Less than 3 years ago we launched our security offering under the old Cleanall brand and won our first security contract in Aug 2014. Fast forward to now and we’re ACS, ISO 9001 & 14001 accredited and deliver almost 10,000 security hours per week with a very robust management structure in place! !